One of the pieces I have discovered in this concert is the old Canadian christmas tune Huron Carol (see my next post in this blog). The name Dala has been constructed form the names of the two members of Dala – Da: Amanda Walther and La: Sheila Carabine. 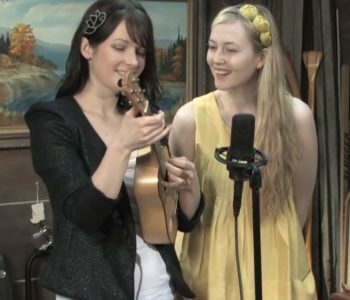 Amanda Walther and Sheila Carabine play guitars, ukulele, piano and also glockenspiel in some songs. It is just one week that the new CD by the Norwegian Women Quartet Katzenjammer has been published in Germany. Since I have discovered Katzenjammer two years ago this quartet – four women from Norway – has made a big development. They have toured through Germany and Europe and played at many festivals. Their song I will dance (when I walk away) might be No. 1 in the charts of one of the most popular radio stations SWR3 this week. So I have tried to find the best video clips and information about Katzenjammer at the moment. Katzenjammermake great performances with their big collection of instruments, including the mandolin in many songs, a banjo, guitars, piano, glockenspiel and their very special instrument: the bass balalaika painted with a cats face. But you can also hear accordion, cans, a washboard, harmonica, drumset, trumpet and many other instruments. Also their singing is great and powerfull. They can play in sing in many different styles and sometimes they are very funny too. Enjoy my collection of new and great videos with Katzenjammer! 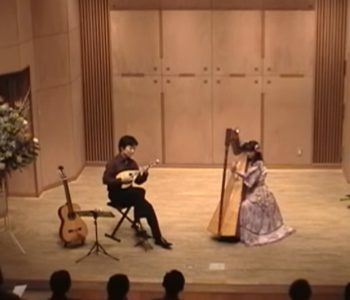 Some time ago I have discovered this duo from Japan that plays a nice selection of music with mandolin and ukulele. BEGIN “Shimanchu nu Takara(=Treasure)” on the ukulele and mandolin. Wish to keep our “treasures” on this islands eternally…. This inspired me to search for other videos of this great song played on plucked instruments. 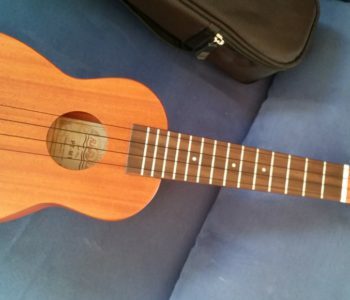 I have also found great versions for classical guitar and for for ukulele. I have collected the videos in the following playlist.